Are you looking for the best iPhone photo editing apps for your iOS device ? In this article, you can view a list of powerful image editing apps. If you install any of these photo editors, you can complete your photo editing tasks easily on your iPhone or iPad. Here we’ve listed some powerful and featured photo editing apps for your device. 1. PicZone ( iPhone & iPad ) – PicZone is one of the best iPhone photo editing apps on the app store and it comes with lots of editing features including fun stickers. If you are a creative iOS user and want to give your photos professional look, this app would be the best option for your device. PicZone has tons of features such as – photo adjustment tool, lots of photo effects, drawing option, text tool to add text on your photos, editing tools, photo cropping & resizing tools, emoticons, tons of useful stickers including stylish eye glasses, hair styles, funny masks etc. PicZone comes with two main features which are – ( i ) Photo Editing Option ( ii ) Quick Collage Making Option . Recommended app for creative people. 2. FaceTune ( iPhone ) – FaceTune is one of the best photo editing apps for creative iPhone users that can also be used as a makeup tool because it comes with lots of useful features which make your face more beautiful. The app comes with tons of editing features including face beautifying options such as – tools for beautiful skin, options to widen or refine your smile, teeth whitening feature, tools to make your eyes more beautiful, hair salon option , photo enhancement tool and lots of other features. Very useful app, if you are looking for a make up app with photo editing features . The best image editor to retouch & beautify your photos on iPhone. 3. Photo Wonder ( iPhone ) – Photo Wonder is one of the best free photo editing app for iPhone users and it comes with lots of image editing functions. With this app, you can easily edit your photographs , crop your photos, resize your images, apply different types of photo effects, add text effects, make beautiful photo collages and use stickers to make your photos more funny. 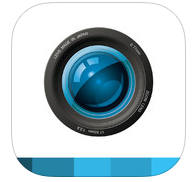 Great free photo editing app for iPhone users. Photo Wonder contains lots of powerful photo editing features which let you make beautiful and professional photographs. The app includes stylish photo frames, collage templates, animated stickers, cartoon maker, emoticon maker, beautifying tool , makeup options and many other features. You can also add more features by purchasing in-app packs. If you are looking for the best image editing app for free, this app must be in your iPhone. 4. PicsArt Photo Studio ( iPhone & iPad) – If you are looking for the best free iPhone photo editing app for iOS device, this app would be very useful for your iDevice. PicsArt comes with tons of photo editing options.The app has lots of amazing features and lets you edit your photos like desktop image editing program. The app comes with photo editing suite, photo stickers , overlays, collage maker tool, drawing suite and many other features including thousands of cliparts. Recommended app for every iPhone users. 5. 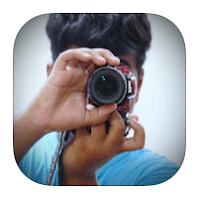 Photo Toaster ( iPhone & iPad ) – If you are looking for fully functional beautiful photo editor for your iPhone and iPad, Photo Toaster may be the best photo editor for your iOS device that comes with lots of features including beautiful and easy to use interface. With Photo Toaster, you can easily edit and retouch your photos, apply more than 60 image effects instantly, use beautiful photo borders, add professional level lighting and use lots of other features to beautify your images. 6. Photo Editor By Aviary ( iPhone & iPad ) – If you are looking for the best free photo editor for your iPhone or iPad, this app is the perfect option for your device that has tons of features. 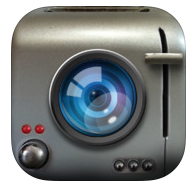 With this app, you can easily edit your photos and apply your desired visual effects to your photographs. Although if you want to access all features of this app, you need to unlock premium features but you can use some great features free of cost. Very useful app to edit your photos on your iOS device easily. 7. 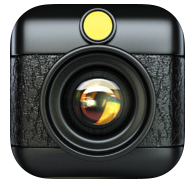 Hipstamatic ( iPhone ) – Hipstamatic is a great camera app that helps you to add desired visual effects to your photos. You can swap lenses , films and flashes for tons of photo effects. Great app that allows you to share your photos instantly to your favourite social networks such as Facebook, Twitter, Oggl, Instagram, Tumblr & Flickr. 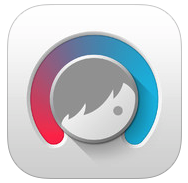 One of the best photo editors on the Appstore. 9. Pho.to Lab ( iPhone & iPad ) – One of the best free photo editing apps on the App store and it comes with more than 800 photo effects, fun face montages and many other stuffs. Very useful image editor for iOS users that has tons of features such as funny photo effects, beautiful image borders, powerful image editing tools, filters, photo collage making feature and many other features. You can access more premium features by unlocking packs of photo effects. 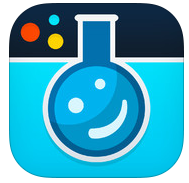 Great app for creative users. 9. 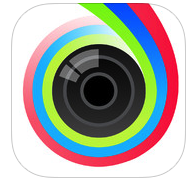 PicShop HD Photo Editor ( iPhone & iPad ) – The best professional photo editing app for creative iOS users. 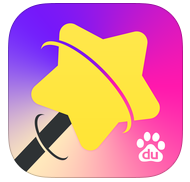 If you love photo editing tasks, you would love using this app. Very useful app that has tons of features. Recommended image editor that comes with clean and easy user interface.